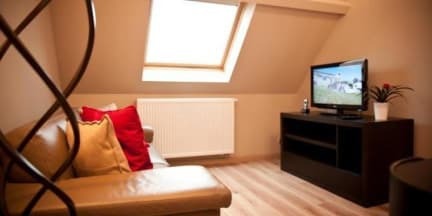 B&B Inn Brugas is located in a quiet residential area in walking distance from the historic center of Bruges. InnBrugas B&B welcomes you in one of the 3 guest rooms (1 suite) with private bathroom, flats-screen tv, mini-bar, phone and free of charge wireless internet connection. Breakfast buffet with coffee, tea, fresh juice, crispy rolls and filling is served in a separated room. 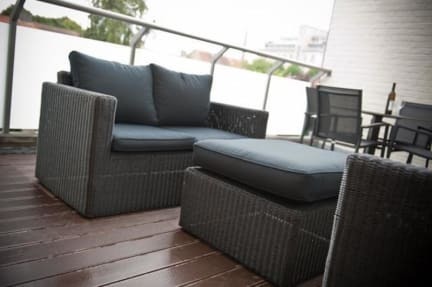 To make your accommodation perfect the InnBrugas B&B also offers summer lounge terrace with sauna. InnBruggas B&B has free parking and possibility to store bicycles indoors.